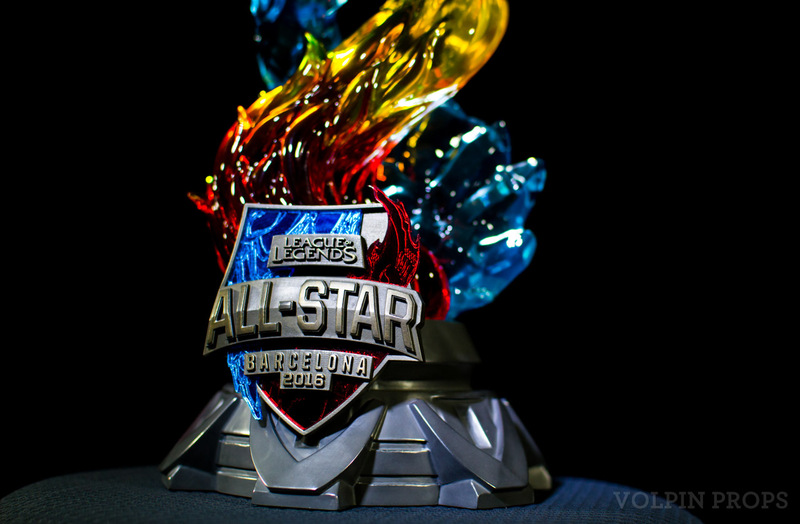 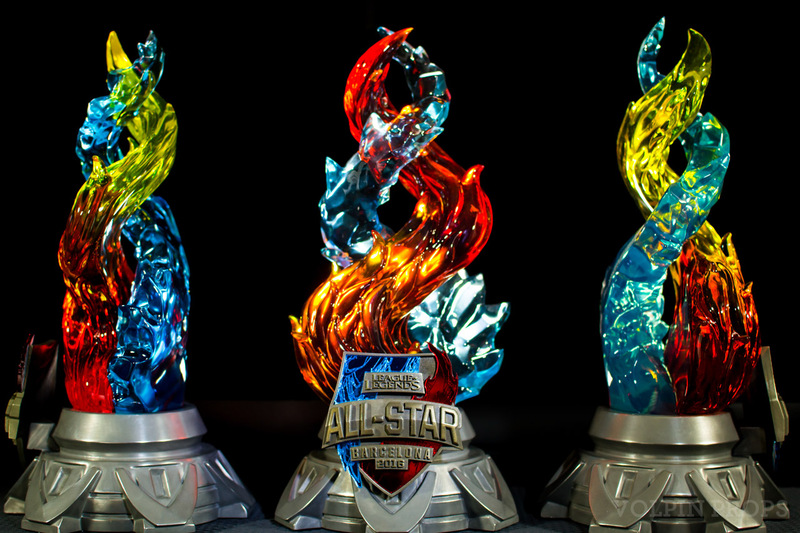 In a whirlwind three weeks, eighteen of these “Fire and Ice” awards were created for the League of Legends All-Star event held in Barcelona. 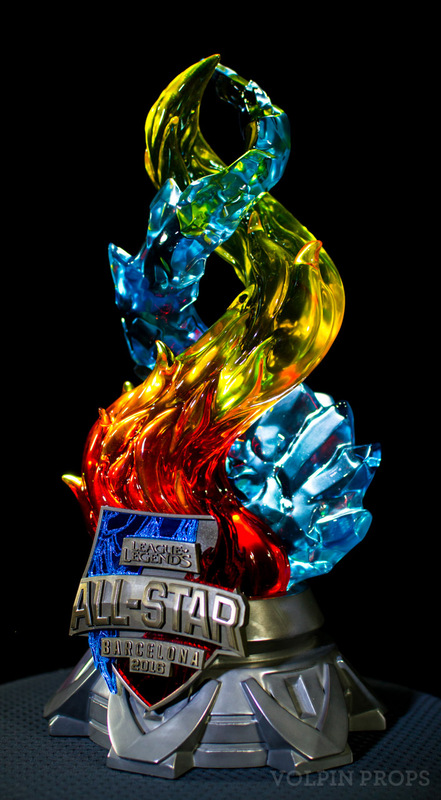 The All-Star is the final event in the League calendar for the year; it’s a last hurrah to celebrate the individual skill that goes into League of Legends. 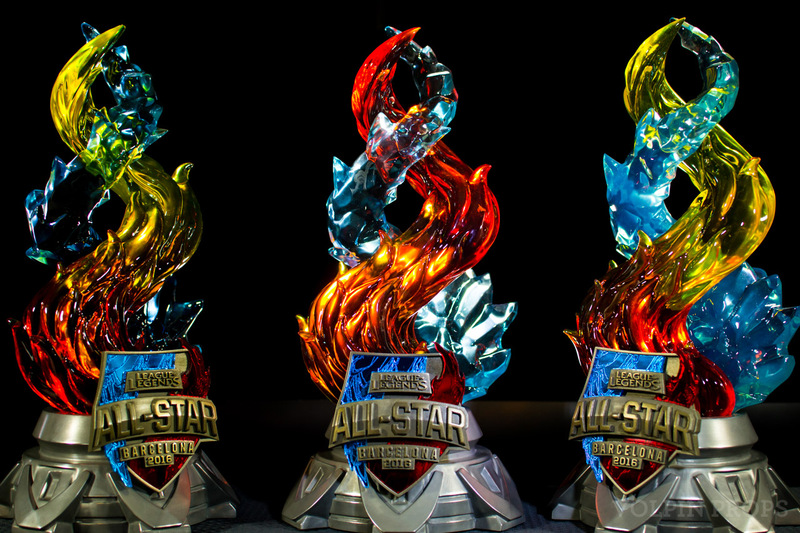 The best players are selected from teams around the world and put on team “Fire” or team “Ice” and teams go head-to-head in 1v1 and team matches. 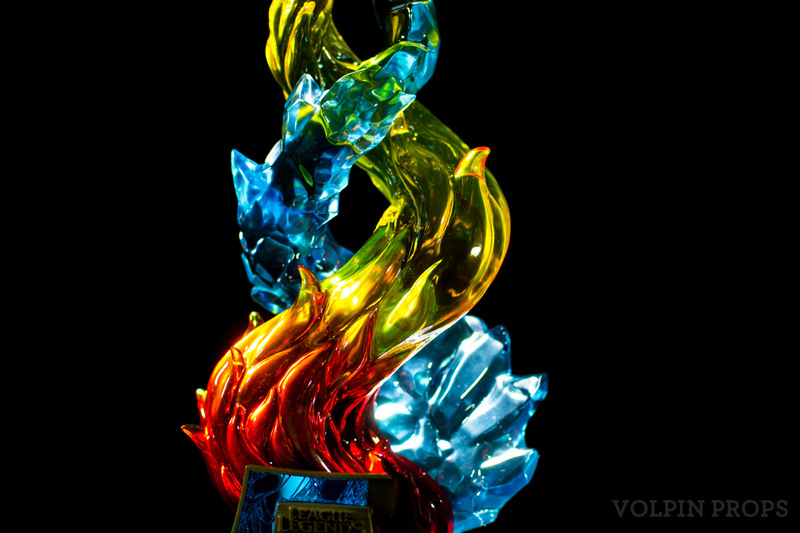 For the team finals, each participating member of the winning side – Fire or Ice – would get one of the awards shown here. 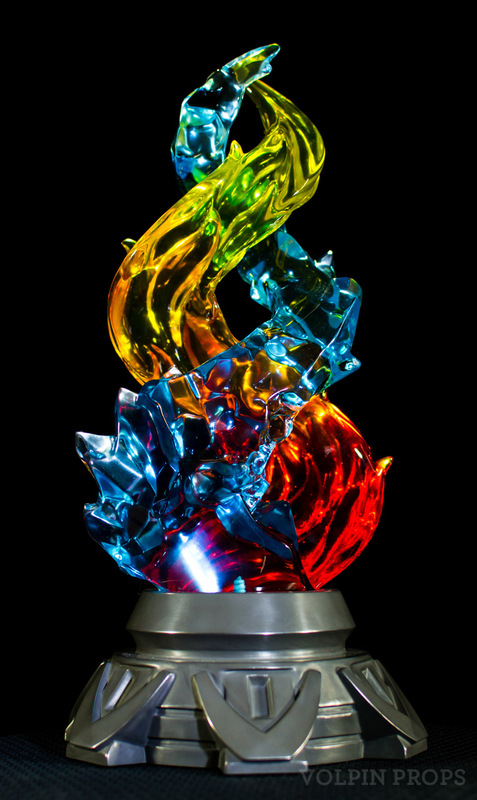 The design features a helix of ice and fire cast in clear urethane resin embedded into a cold cast aluminum base. 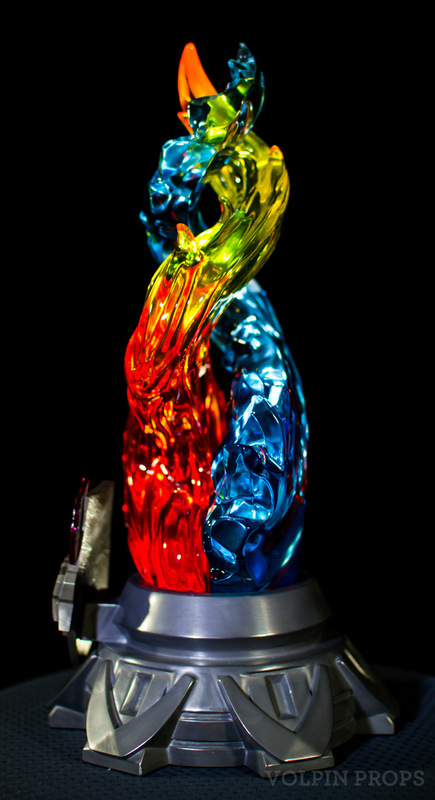 Mirrored acrylic panels on the badge continue the theme, and the badges themselves are cold cast in nickel/silver. 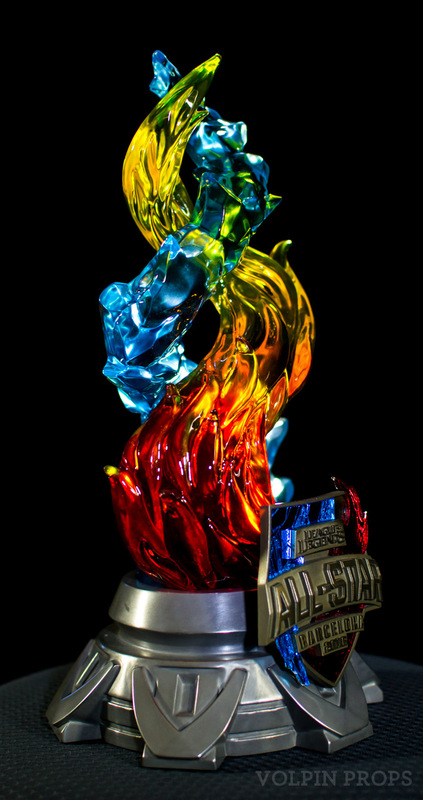 Finished castings are 14.5″ in height and weigh ~3lbs. 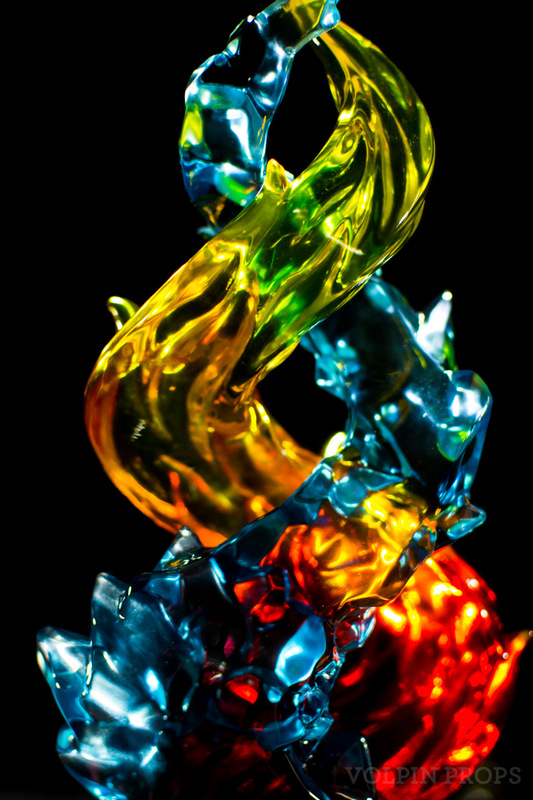 Due to subtle variations in the casting and dying process, no two items are exactly identical.